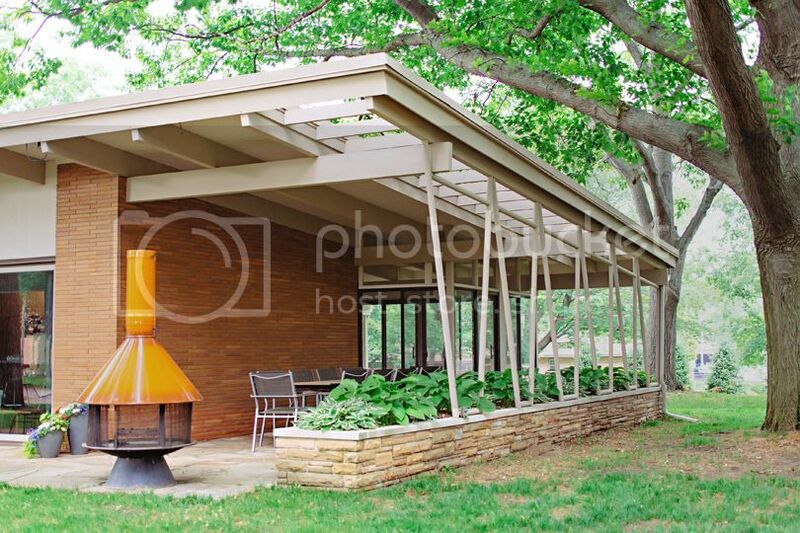 There is a big mid-century modern community on Facebook, and today someone asked if mid-century modern homeowners would be interested in house-swapping. Of course, that is something that appeals to me greatly, as I'd love to travel and stay in hip houses instead of lame (and expensive!) hotels. Plus, I honestly LOVE sharing our home, and would swap with another MCM homeowner in a heartbeat! Moving along....I posted an image of our home on the post, complete with Malm fireplace we found on Craig's List in July 2013, and a fellow Facebooker (& Michigander!) emailed me to see where I found our fireplace, as she recently sold one, and was wondering if it was one in the same. It wasn't, as ours was from a homeowner's basement in the Kalamazoo area, but she sent along the information that Malm still manufacturers these, and they are still available today. 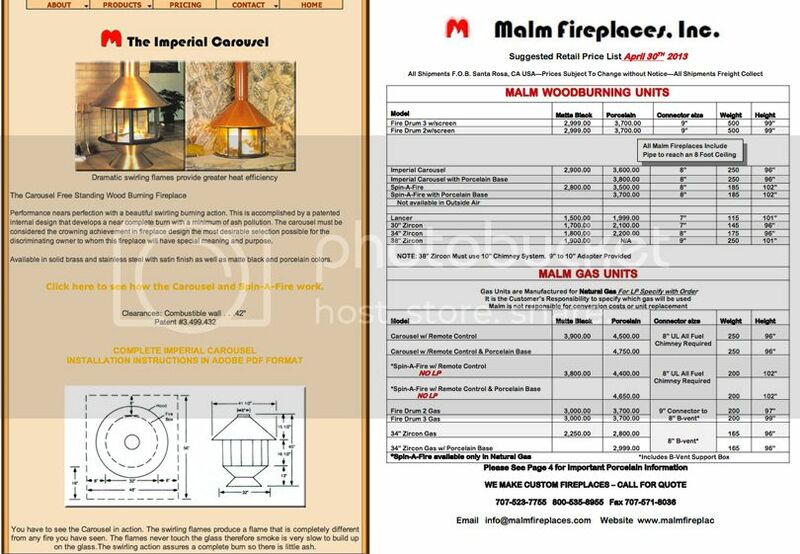 When I started looking for info on our fireplace, I knew Malm still made these, but I hadn't realized how expensive a brand new one would be. If I'm reading their website correctly, I think we'd be investing $3,800 for something similar to what we have here. Makes our ~$150 find and a little elbow grease seem like we STOLE this thing! 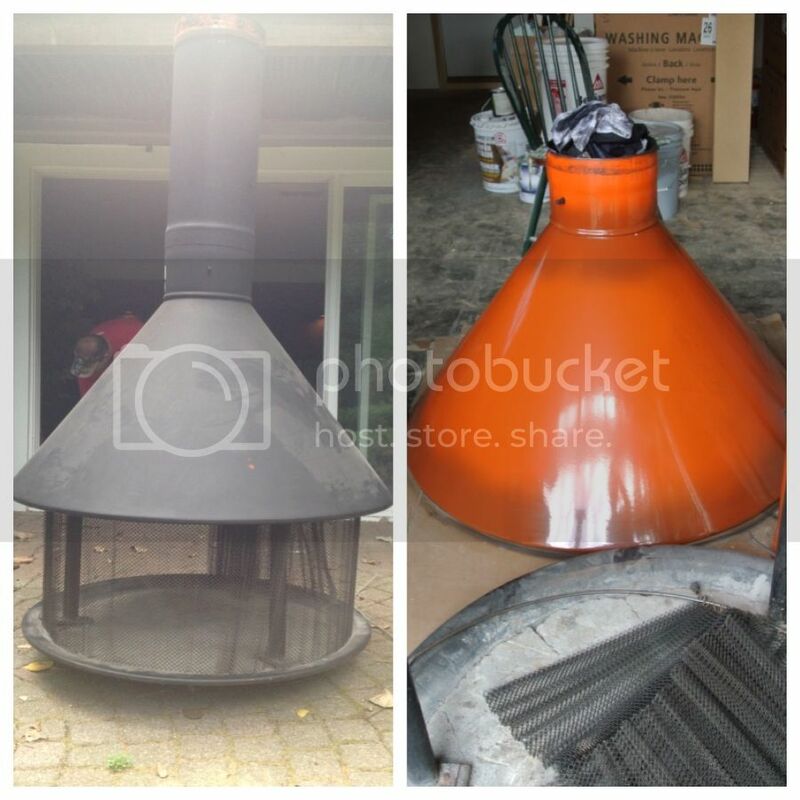 On the left is what our fireplace looked like when we picked it up - matte black spray paint with a few orange "scratches" that the homeowners had no idea why they would be orange. After a can of paint thinner, it looked like the image on the right. I had this SHINY ORANGE fireplace, and I was so, so excited! Apparently, the Carousel Malm Fireplace fireplace is pretty rare. Obviously, I had no idea - we picked this thing up for under $200 and hauled it home one day. And I wasn't even looking for it on Craig's List - I was looking at how much the MALM bedroom series from IKEA was going for, as we were working on selling our furniture from our old house before we moved. It was just by chance I came across this thing in the first place. And here are a few more shots. We put it out in front of our house because it's quite lovely to look at, and when we have a fire, it's the best place to sit and chat. I don't hate the idea of putting it in our three-season porch, but we'd have to vent it out the roof, and that sounds like a lot of work. We had a fire in it a couple of weeks ago (only the second one we've enjoyed to date) and it just glows. Such a fun little accessory to our house! Wow. I have one of these from our previous round house that had to be demolished. I have been thinking about using it outside, and was excited to see that you had done that. How do you keep out the rain? Is it continuing to hold up well for you outside?